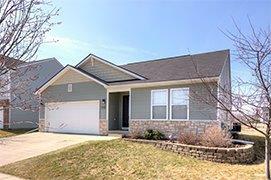 An attractive ranch home located in the charming community of Thornton Farms in Dexter is now available. This home features three bedrooms, two bathrooms and a great open floor plan that you are sure to love. Entertaining will be effortless with the dining area open to the light and bright kitchen. Organizing the kitchen will be a snap with the large walk-in pantry. At the end of a long day, relax in the private master bedroom suite. This suite boasts a ceiling fan with lighting, a walk-in closet and an en-suite bathroom. Two additional bedrooms and a second full bathroom will accommodate additional residents or guests. Bring your design ideas and finish the full basement for more living space. 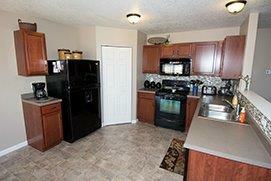 This home has been well maintained and is move-in ready. Thornton Farms offers friendly living at its best with superb value in a great location. More than just a place to live, family fun awaits you at the community pool, park and clubhouse. To find all of the best Thornton Farms Homes, click here. Show this Dexter real estate quickly, it won’t be on the market long.